Glitter Nails for the #31DC2016Weekly - Polish Etc. For the 17th week of the weekly version of the 31 Day Nail Art Challenge, we are doing glitter nails! Usually, I would do something super sparkly and glitterific. But today I am sharing a minimal glitter manicure. Glitter placement can be tedious but very rewarding. I have done completely covered nails before but this time I just had to phone it in with only a few glitters. That is my style though. Minimal but pretty. Right? For this manicure, I started with a base of Kiko "486 Tea Rose" which is a dusty pink mauve creme. Then I used a toothpick to place diamond shaped glitters down the center of my nail. These glitters were provided to me by Mr. Nail Art. 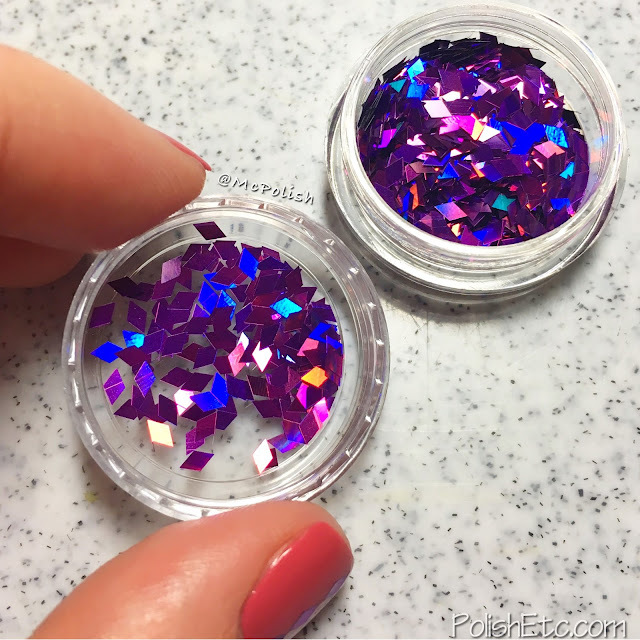 They are a nice purple holographic shade that really shift and shine in the light. Once they were in place, I topped everything off with a a glossy top coat. 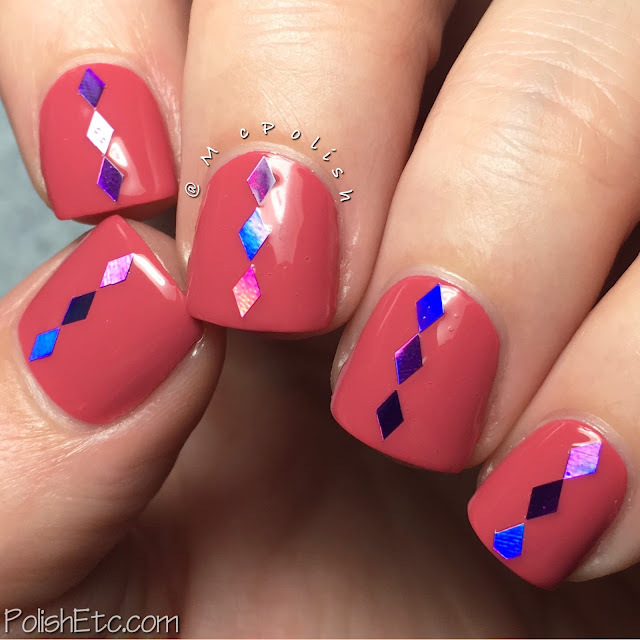 Aren't those little holographic diamonds pretty?! 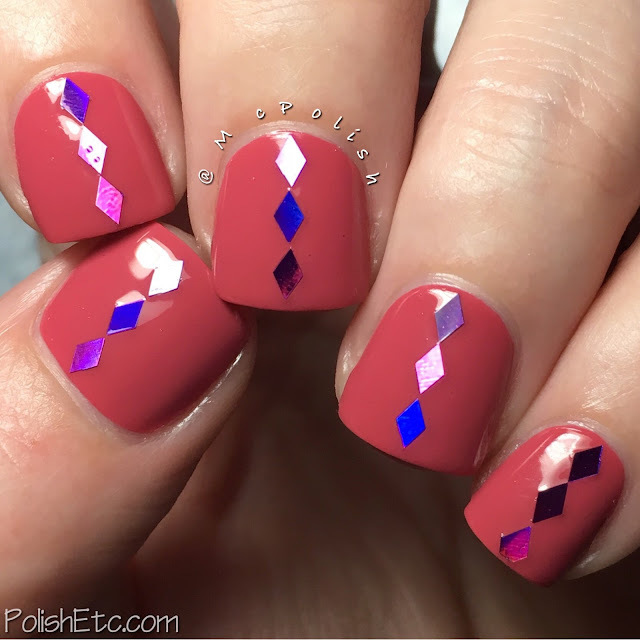 A simple mani but one that I still liked a lot. I hope you liked it, too. 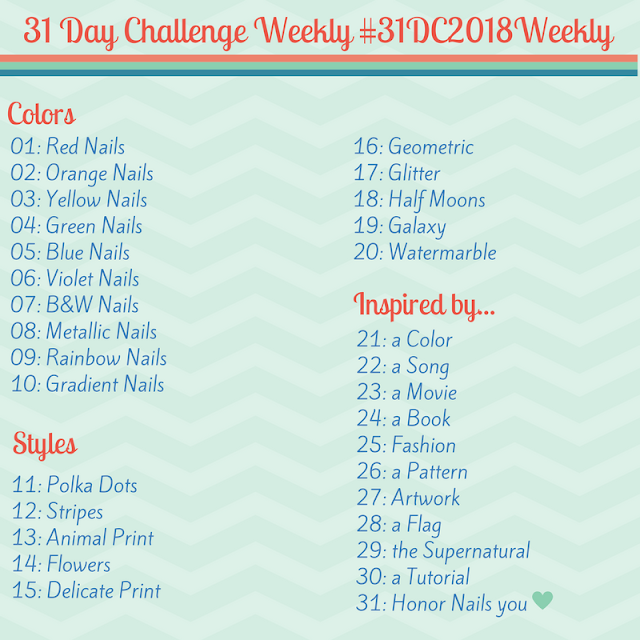 Be sure to check out the rest of the glitter manicures done this week for the challenge by scanning the #31DC2016Weekly tag on Instagram, Twitter and Facebook.